Acucraft Fireplaces has been designing and manufacturing Indoor Outdoor See Through Fireplaces for over a decade with much success. 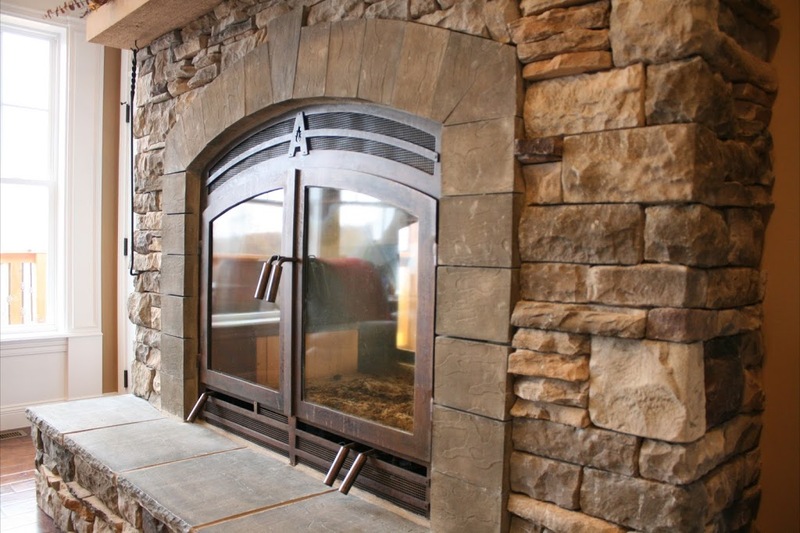 The Neo-Ceramic glass panes can support any thermal shock such as the spilling of cold water on your fireplace door. As with all Acucraft See Through Fireplaces, you can operate the fireplace with the doors closed, doors opened or doors fully removed on one side while burning. This Indoor Outdoor See Through Fireplace shows a beautiful patina indoor design; with black arched door outdoor design. 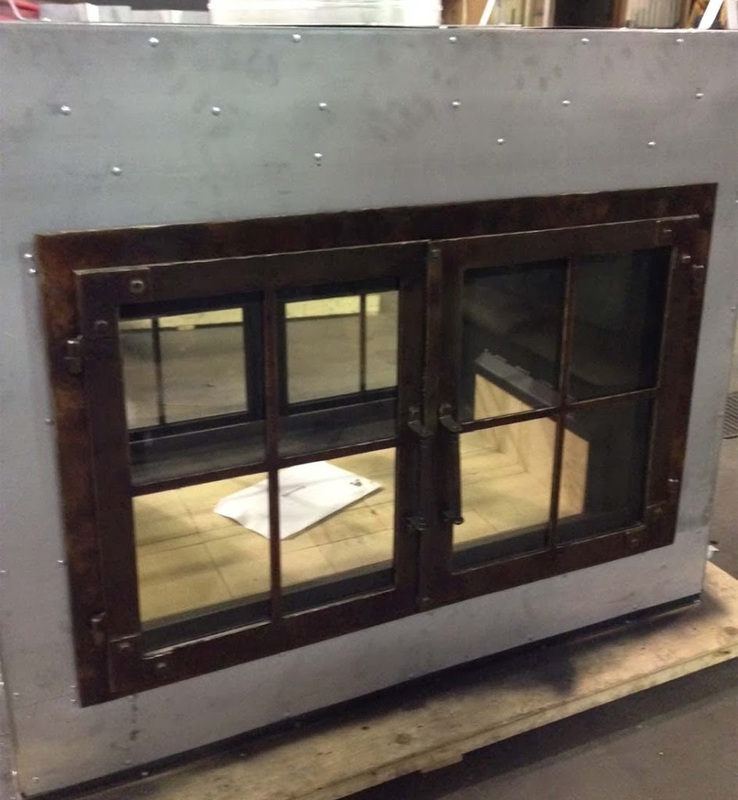 The fireplace pictured below is an Acucraft Indoor Outdoor See Through Fireplace. This fireplace will be placed in between a great room and bedroom. The Indoor Outdoor See Through design was used to have the ability to have all heat forced to the great room; while still being able to enjoy the fire from the bedroom. Please contact an Acucraft Fireplace Selection Specialist Member to discuss design options today and ask for our NEW Indoor Outdoor See Through Fireplace brochure! 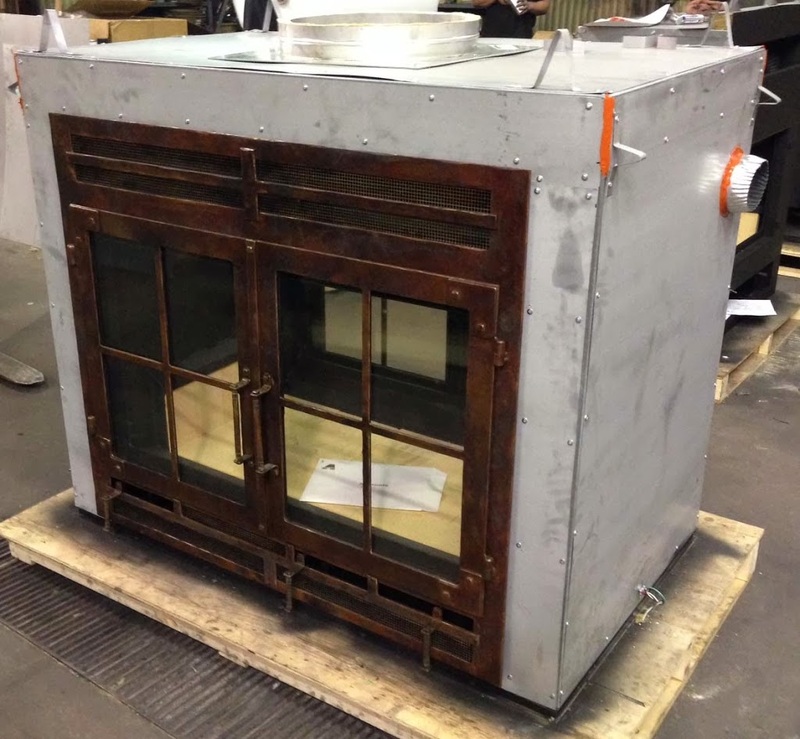 Click here to visit the “See Through Wood Fireplaces” page on our website.